The Mario Ferri universal joint is a very versatile universal joint with a maximum speed of 1000RPM and a maximum angle of 90º with the double universal joint type. The Mario Ferri Needle Bearing universal joint is a very versatile universal joint with a maximum speed of 4000RPM and a maximum angle of 90º with the double universal joint type. 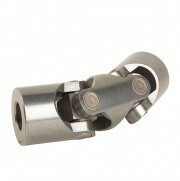 The Mario Ferri Stainless Steel universal joint is a very versatile universal joint with a maximum speed of 1000RPM and a maximum angle of 90º with the double universal joint type. 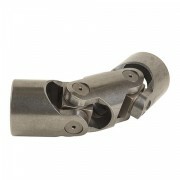 It can withstand exposure to may chemicals and resist rusting much better than the normal Universal Joint.